In New York, at just this time, Hannah Arendt and W. H. Auden, intellectually an unlikely pair, became friends after discovering their intense mutual concern over the obligation to defend language against those forces that would corrupt it. They came together around such a defense but they disagreed because Arendt insisted on distinctions between ethical and juridical judgment while Auden saw them as categorically merged. In November 1959 Auden published his long essay on Falstaff in Encounter; the essay, smoothly argued otherwise, interrupts itself to digress on forgiveness and pardon (there Auden insisted on a distinction, whereas Arendt, as we will see, did not). The digression was directly incited by, as noted earlier, Auden’s positive response to Arendt’s The Human Condition (1958), published in Encounter and given the title “Thinking What We Are Doing.” Such consciousness was always essentially linguistic—Auden momentarily becomes a Wittgensteinian via Arendt!—and after the disasters of the 1940s needed to be redefined as such. We “can never manage” this attention “unless we can first agree about the meaning of the words we think with, which, in its turn, requires that we become aware of what these words have meant in the past.” Auden believes Arendt to have written an essay in Etymology, “a re-examination of what we think we mean.” It is the closest Auden will ever come to affirming Make It New — here, of course, in an ethical rather than a poetic context. Arendt’s definition of ideal political power — not power of the kind that wields violence and shows strength, but its opposite—also depends on language. She imagines, Auden notes, a politics realized “only where word and deed have not parted . . . when words are not used to veil intentions” and when deeds following such words “are not used to violate and destroy, but to . . . create new realities.” Auden’s Falstaff essay tries to imagine such a prelapsarian—or, in effect, a pre-totalitarian—mode in which the word-world relationship is undestroyed and in which pardoning and forgiveness are “forbidden to calculate.” Auden must have mentioned his digression on pardon to Arendt, who obtained a copy of the November 1959 issue of Encounter and then wrote her long letter of February 14, 1960. “The command to forgive is unconditional,” Auden had written. He observed the failure in dramatic writing to distinguish “the spirit of forgiveness” from “the act of pardon.” When forgiveness requires action, and thus requires something that would not occur if there were no forgiving. “This means that my enemy must be at my mercy”—not ideal, given that, for Auden, charity is a disposition and should be distinct from “judicial pardon,” which is necessarily an act. The distinction fails in literary representations of judgment “because silence and inaction are undramatic.” This is of course exactly the opposite of the conclusion drawn by Celan, whose writing “shows a strong tendency toward silence” in a complex theorization of indirectness that makes for the entire drama of writing that defends language against corruption and produces judgment not despite but because the scales of judgment have been destroyed. In her letter to Auden (“I just read the Falstaff piece”), Arendt also disagrees: “the ‘command to forgive is not unconditional,’” following which criticism the entire letter theorizes the distinction between “forgiveness and judicial pardon.” It is only pride, not historical reality, that “insist[s] that that power of judgment remains unimpaired.” Judgment can indeed “be destroyed in the act of forgiving.” Pondering the “absurd position of the judges during the Nuremberg trials who were confronted with crimes of such a magnitude” as to render punishment nearly meaningless, she posits a theory of forgiveness that “does not aim at destruction but on the contrary at the restoration of the persons involved.” Such hope would not extend, the following year, to her sense of the Eichmann trial, but it comes, thanks to Auden’s reminder, from her ethical anti-totalitarian etymology, requiring, as Auden put it, “that we become aware of what […] words have meant in the past,” if the goal is “re-examination of what we think we mean.” That, rather than personal rehabilitation—certainly this would be the case for her in the case of Eichmann—is what she means by restoration. Such linguistic responsibility must be widespread and by no means limited to the perpetrators. This notion coincides with those of many of the writers we have considered in this chapter as they seek a return to re-examinations of radical pre-war re-examinations of meaning. It also coincides in 1960 with a flood of new postwar-style re-encounters with the work of Franz Kafka. Why the resurgence of Kafka just then? When we discover the “disingenuousness of straining to marshal [textual details] to prove an argument, we rather consign them to the miscellaneous absurd.” To contend that modern writing [defies] synthetic, unfragmented interpretation is not the same as “obscurantism.” When a minor Court official blathers on about its infallibility and insists that it “never go[es] hunting for crime in the populace, but, as the Law decrees, are drawn towards the guilty,” it should not indicate the ultimate indecipherability of such “apparent contradictions and claims” so much as the need to shift the register of reading. The “mystique of hierarchy” itself can and must be read, and guilt will be disclosed as no less specific. This approach coincides almost exactly with Arendt’s interpretation of the problem of interpreting the guilt of Eichmann. How in a supposedly end-of-ideological era does one understand responsibility without “any abstract doctrinal guilt”? Krieger is an anti-ideological critic-theorist who academically came of age in the 1950s — The New Apologists for Poetry of 1956 is his classic work — who has here reached an impasse. The political reading (that of a vague strawman Marxist) he dismissed from the start—K.’s “frequent awareness of his guilt … is not a sign of the Court’s justice by a symptom of K.’s brainwashing by the ruthless organization that has badgered him into submission”—turns out to be the most logically persuasive as the result of Krieger’s own methodological merge of modernism’s openness and his commitment as a critic to textual detail. He says he wants “the social and metaphysical levels [to] be urged at once” in this approach to the modernist novel but in the end his formalism masters the metaphysical while his inability to cope with the social creates the only dramatic agony in an otherwise smoothly competent piece—an uncharacteristic sprawling -word footnote that plunders the bottoms of three pages. If critics seek a seamless move (“without a leap”) from literal to symbolic levels of reading, what prevents it is Kafka’s “failure to relate” two versions of the Court (they are actually described in contradictory ways in the novel). Krieger concedes that he cannot “do more than dodge this obstacle.” His need for semantic sense, which should have been mitigated by his commitment to the value of the modernist fragment, leads to blaming Kafka for reaching “the point where [his] aesthetic incompleteness shows.” Krieger can only repeat his hope that “the world of social-economic reality and of nightmarish fantasy”—again here identified as “the political and metaphysical levels”—would have “a single narrative source,” directly contradicting his defense of literary opacity and difficulty if they can be supported by detailed close reading, a defense his work effects. Moreover, to read Kafka just now is to experience an ordeal like that of the survivor-witness. So Heller suggests. He concedes that of course “the reader will not be executed at the hands of two strangers,” unlike K. in The Trial, “but as he [the reader!] emerges from this literary ordeal”—surviving the trial of the text—“he may have to ask himself whether the work and the summons were meant for him or, indeed, for any reader.” This is not intended as metaphor. Kafka is being re-read as a reluctant survivor whose anticipatory will to bear witness is agonizingly ambiguous—a state of being described later by Lawrence Langer and Terrence Des Pres (who otherwise have opposite approaches to almost every other aspect of survivor testimony) as making the witness-survivor’s predicament like that of the modern writer and the modern writer’s predicament like that of the survivor. After suggesting that readers of Kafka endure their [ordeal] as a version of unwarranted summons, Heller reminds us that Kafka’s final wish was that the writing be destroyed, and asks: “Did he not disavow the wish to communicate his essential experience?” Des Pres describes such disavowal as the result of an “unexpected ambiguity”: “As a witness the survivor is both sought and shunned; the desire to hear his truth is countered by the need to ignore him.” The unsayable experience of the survivor defies representation and that is the condition that, if nothing else is possible, needs bearing witness. Readers and listeners to testimony sometimes must reject the veracity of the story together with its form of telling in order for the survivor, habituated to the incompleteness and fragmentation of the effort to feel something of the ordeal’s unreality has been conveyed. Heller’s essay comprehends this aspect of Kafka’s writing. “And yet Kafka,” he writes, “does communicate an essential experience of irrevocable rejection, the experience of an ultimate non-arrival.” Such incessant “non-arrival” Celan theorizes as a function of, or an analogue to, the way in which Jewish life, because of its particular internal linguistic and cultural exile, has always or often had about it, predictively [proleptically? ], certain modern attributes, chief among them indeed this trevail of “ultimate non-arrival.” The figure of the Jew as always already modernist. “To remember in the poem,” Celan wrote in his notebook for “The Meridian,” “—remembrance as absence”; he jotted those key phrases after copying out this, as he had found while reading Jean Paul’s Das Kampaner Tal (1797): “as on the houses of the Jews (in memory of ruined Jerusalem), something always has to be left unfinished”—a likening among (1) violent dispersion and diaspora, (2) the familial home as memory (Celan’s obsession), and (3) the written fragment. Heller quotes a young Czech friend of Kafka, Janouch, who distinctly remembered Kafka telling the story of a blind Jewish poet of Prague whose eyes had been damaged in fights with Germans and non-Jewish Czechs. “He lost his eyesight as a German,” Janouch recalls Kafka saying, “as something he never really was.” He was “a pathetic symbol of the so-called German Jews of Prague.” Writing as memory, remembrance as absence, internal exile as ongoing modern incompleteness: Kafka’s situation—living among Czechs, participating in German intellectual literary heritage, “belong[ing] to neither community,” considering oneself “part of a Europe that survived only as a community of letters”—was to embody an [incompleteness] and [in-between-ness] in a place “that kept the memory of its ghetto alive” even as its liquidation was predictable. 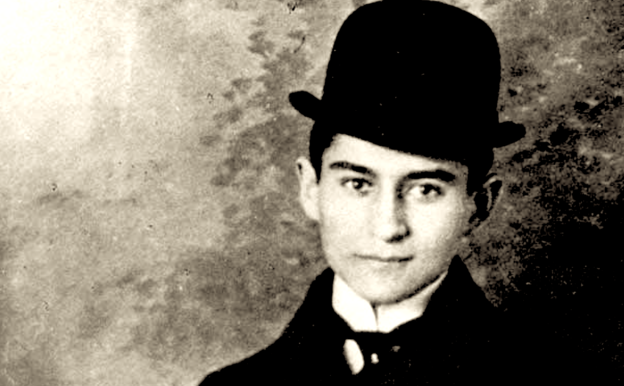 Fiedler argues that Kafka came to the very edge of leaping into the void, but did not leap. He was on the verge of the flight from reason altogether, but clung to a language of reason at the edge of its total failure. Fiedler admires “his refusal to leap to faith where reason eventuates in anguish.” From the perspective of a decade and a half after the total disaster he was said to have predicted, to look back at Kafka’s “refusal to leap” is to imagine such anguish even further augmented. The question becomes who in 1960 is in a position to observe the specific effects of the victim’s anguish. The “fashion” of “Semitism” creates from victimization a critical ideology, a false latitudinarianism that tends to disguise the heretical elements of a style conveying what cannot be readily known. Fiedler here is less interested in such [easy radicalism] entailed in embrace of the noble Outsider than in the “negative orthodoxy” that results when historical Judaism enforces its tendency not to “disown[…] its great heretics completely.” The modernist “irreducibility of meaning maintained like a martyrdom” must not become merely obligatory if intolerable conditions are to be comprehended in an “unforeseen” clarity in this terribly unclear writing—writing so obsessively reasonable it becomes an aspect of a dreamlike surrealism. The leap beyond reason is an uneasy, daring next step. Parker Tyler’s Kafka in 1960 seems to have already taken that next step, according to the astonishing montaged argument of The Three Faces of the Film: The Art, the Dream, the Cult, published by Thomas Yoseloff in 1960. For Fiedler, Kafka could not undertake the final flight from reason, and the result is a style of hyper-reason that made it—happily, in Fiedler’s view—impossible for facile wisdom-seeking readers (Cold War-era Americans in particular) to fathom its form, thus its radicalism remains latent in its “unforeseen lucidity.” For Paul Celan, re-considering Kafka as he prepared “The Meridian,” Kafka’s language was a matter somehow of having, not being; “being” seemed to be for Celan here a synonym for the kind of post-Disaster attentiveness to which he now aspired. (In his notes he kept repeating this formulation: “Kafka: / Language means to have, not to be.”) Celan wanted for himself to go in writing where Kafka could not go—perhaps because the earlier writer did not endure and then survive the disaster toward which the having of his writing inclined. Celan’s leap in “The Meridian” seems to indicate a getting through and then beyond, from languaged world as compassed or gotten or beheld to language as known somehow otherwise (a breathturning from the world in order to get back into it). “To get oneself through language, which—Kafka!—is only a having, into an accurate relation with one’s Being—/” For Parker Tyler in The Three Faces of the Film, Kafka had already made the leap when in his first incomplete novel he had experimentally resituated the body of the guilt-ridden K. from “its European constriction” to the “legendary openness” of America in Amerika—a non-realist horizontal body-in-space pathology that becomes for Tyler a key to understanding the new hero that was emerging in avant-garde film at the start of the 1960s. Parker Tyler’s experimental fiction in the 1930s had been influenced by Gertrude Stein and Djuna Barnes. His surrealist dream-poems in The Granite Butterfly (published by Bern Porter in 1945) found an avid avant-garde readership toward the end of the seven-year run of the important surrealist magazine View, which Tyler co-edited with Charles Henri Ford. Many of the contributors to View had taken refuge in the U.S. during the war, and brought to New York, through View’s special issues and otherwise, the ideas and practices of European avant-gardes. Tyler had spent part of the 1930s, and the early war years, in Los Angeles, where his surrealism converged with an interest in movies; his thirty-year relationship with underground filmmaker Charles Boultenouse, which began in 1945, also greatly affected his turn toward film. The Three Faces of the Film is the first of his books to bring together all these fascinations: Euro-modernism’s open-endedness; the constrained exilic experience of guilt-ridden innocence when it encounters American vastness; and action as a kind of dream. “The Dream-Amerika of Kafka and Chaplin,” at the heart of the book, investigates all three issues at once. “Openness” here has a double meaning crucial to this chapter. The horizontality of the Dream-Amerika sets the human body in contrast starker than ever, and is of course a matter of thematic, socio-national setting. And a non-realist art, as a matter of aesthetic practice, leaves meaning undetermined and unblocked even if the “land of phantasmal mechanisms” seems no less otherwise fascistic. Thus when elsewhere in The Three Faces of the Film Tyler turns to recent films, he often returns to the experimental anthropometry of the Kafkaesque body wandering “amid the chaos of great cities.” He considers Peter Weiss’s 1959 film, The Mirage, in which the protagonist, leaning precariously off a rickety wooden industrial scaffold, gets a high view of “industry’s ‘daymarish’ labyrinth,” seems ready to make his leap into the void—and thus, to Tyler, “illustrates the very spirit of Kafka’s novel, Amerika.” This for him is the “new hero” of a new art. Son of a Hungarian Jewish father, himself a wartime exile from Germany, and later creator of the documentary play based on the Auschwitz trials, The Investigation (1965), Peter Weiss in The Mirage in part expresses the influence of Wolfgang Staudte’s film Murderers Among Us (“Die Mörder sind unter uns,” 1946), his first screening of which in 1947 provoked in him a sense of film’s capacity after the genocide to make use of the “inexhaustible stock of painfully realistic, oddly dreamlike and surreal, shocking, accusatory, and thought-provoking visions.” Weiss’s character in The Mirage is caked in drying cement, markings of his hard alienated labor; his prospective leap is a Kafkaesque/postmodern/New Left updating of the old proletarian industrial martyr who falls—or maybe dives—headlong into and is monumentally entombed in a vast vat of cement in Pietro diDonato’s crazy modernist-communist novella of the 1930s, Christ in Concrete (made into the film in 1949, its director and lead actor blacklisted at the time). By presenting the still from The Mirage as he does, Tyler emphasizes a new socio-aesthetic relationship derived from Kafka’s self-destructive “situation”: an important connection between, on one hand, the extreme occasion or instigation for a work of art and, on the other hand, the urge to push beyond established, reasoned interpretations of transcendence—what Thomas McEvilley (in discussing Yves Klein’s conceptual art of self-endangerment) calls “the meta-hermeneutics of the Leap.” Paul Celan was obviously referring in 1960 with greater specificity, and more intense personal connection, to the annihilations of the war when he contemplated what he must now do in order to write, to “Leap—as entrance into the poem.” Yet at the same time, Parker Tyler’s Kafka, patron of the new avant garde, helps understand the special unreasonable “new hero” of The Mirage and similar figures in other such work with the same sort of “simple attentiveness” as that called for by Celan in preference to conventional “cultural busyness.” And Yves Klein’s attempts to explore the “magico-artistic function of ‘supporting birth into the tangible word,’” while seemingly situated in an art world in some respects far removed from Celan’s (although both of course were working in Paris), befit the sort of alternative “entrance into the poem” Celan and others sought at the end of the fifties. W. H. Auden, “Thinking What We Are Doing,” Encounter 12, 6 (June 1959), p. 72. Auden, “Thinking What We Are Doing,” p. 72. Auden, “The Fallen City,” Encounter 13, 5 (November 1959), p. 29. Auden, “The Fallen City,” p. 28. Frederick A. Olafson, “Kafka and the Primacy of the Ethical,” The Hudson Review 13, 1 (Spring 1960), p. 61. Olafson, “Kafka and the Primacy of the Ethical,” p. 68. Celan, The Meridian: Final Version-Drafts-Materials, p. 169. Celan, The Meridian: Final Version-Drafts-Materials, p. 57. Arendt, Eichmann in Jerusalem, p. 276. Murray Krieger, The Tragic Vision: Variations on a Theme in Literary Interpretation (New York: Holt, Rinehart and Winston, 1960), p. 116. Krieger, The Tragic Vision, p. 117. Suzanne Clark, Cold Warriors: Manliness on Trial in the Rhetoric of the West [finish citation], pp. 71, 101. Krieger, The Tragic Vision, p. 116. Krieger, The Tragic Vision, p. 118. Krieger, The Tragic Vision, pp. 138-140. Krieger, The Tragic Vision, p. 139. Morris, “Murray Krieger: A Departure into Diachrony,” Murray Krieger and Contemporary Critical Theory, ed. Bruce Hendrickson (New York: Columbia University Press, 1986),p. 104. See the Kriger archive at UCSD. Morris, “A Departure into Diachrony,” pp. 106, 105. Morris, “A Departure into Diachrony,” p. 104. Morris, “A Departure into Diachrony,” p. 105. Krieger, The Tragic Vision, p. 122. It is assumed now that Kafka criticism had all along assumed him to be a predictor of the holocaust, but this is not really an accepted critical assumption until 1960. Leslie Fiedler, “Kafka and the Myth of the Jew,” in No! in Thunder (Boston: Beacon Press, 1960), pp. 98-99. Heller, “The Autonomy of Despair,” p. 245. Heller, “The Autonomy of Despair,” p. 246. Des Pres, The Survivor, p. 41. Heller, “The Autonomy of Despair,” p. 232. Celan, The Meridian: Final Version-Drafts-Materials, p. 105. Heller, “The Autonomy of Despair,” p. 244. See Eisner’s 1950 book on Kafka’s Prague. Leslie Fiedler, “Kafka and the Myth of the Jew,” in No! in Thunder: Essays on Myth and Literature (Boston: Beacon Press, 1960), p. 99. Fiedler, “Kafka and the Myth of the Jew,” p. 99. Fiedler, “Kafka and the Myth of the Jew,” pp. 98-99. Fiedler, “Kafka and the Myth of the Jew,” p. 100. Celan, The Meridian: Final Version-Drafts-Materials, p. 112. Celan, The Meridian: Final Version-Drafts-Materials, p. 197. Parker Tyler, The Three Faces of the Film: The Art, the Dream, the Cult (New York: Thomas Yoseloff, 1960), p. 94. Tyler, The Three Faces of the Film, p. 101. Tyler, The Three Faces of the Film, p. 95. Tyler, The Three Faces of the Film, p. 100. Tyler, The Three Faces of the Film, p. 97 [?]. Tyler, The Three Faces of the Film, p. 94. Tyler, The Three Faces of the Film, p. 97. Quoted by Andreas Wutz in “The Realism in Surrealism: On the Filmic Work of Peter Weiss,” published in German in Texte Zur Kunst 87 (2012), pp. 176-181. English translation by Wutz available at http://www.academia.edu/4761887/THE_REALISM_IN_SURREALISM_-_On_the_filmic_work_of_Peter_Weiss_-_by_Andreas_Wutz_2012 (accessed March 25, 2015). The quoted phrase appears in the English translation on p. 2. The source in Weiss: “Peter Weiss, Swedish Original”, in Biografbladet 3 (1947); German translation by Jan Christer Bengtsson: “Peter Weiss über Film und Filmemachen”, in: Peter Weiss und der Film, exhibit catalogue, Nordische Filmtage Lübeck, 1986. English translation by Wutz. Thomas McEvilley, “Yves Klein: Messenger of the Age of Space,” Artforum 20, 5 (January 1982), p. 41. Celan, The Meridian: Final Version-Drafts-Materials, p. 207. McEvilley, Yves the Provocateur, p. 151.